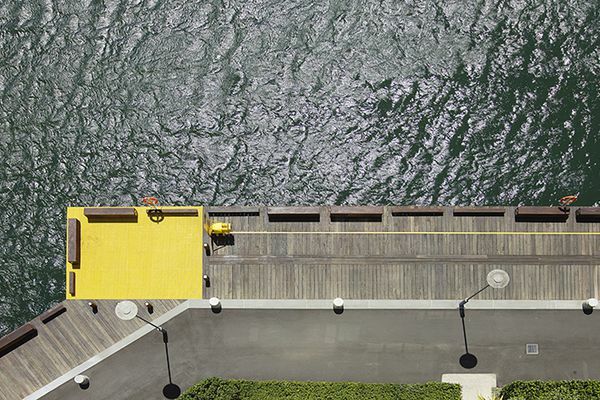 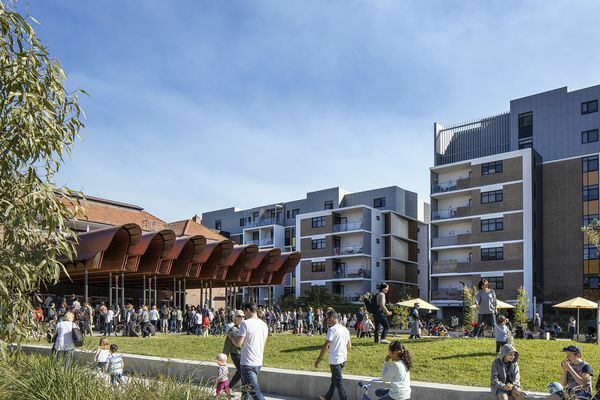 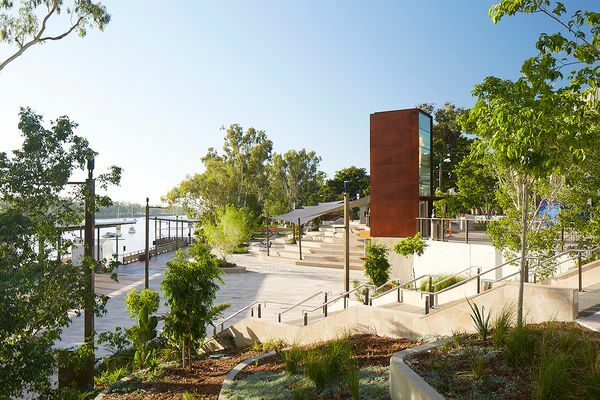 From the landscape architect: This public boardwalk in Pyrmont, Sydney, completes the foreshore upgrades to Jacksons Landing – a waterfront community over 10 years in the making. 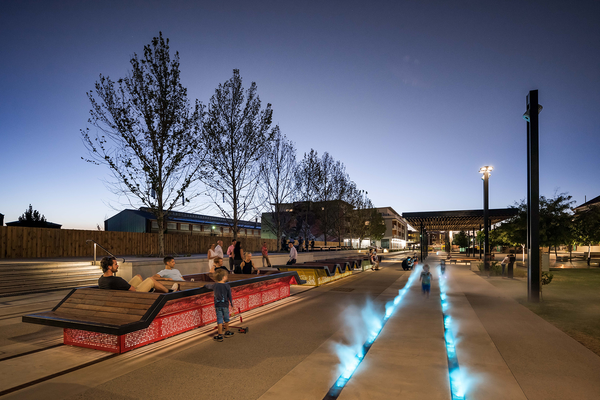 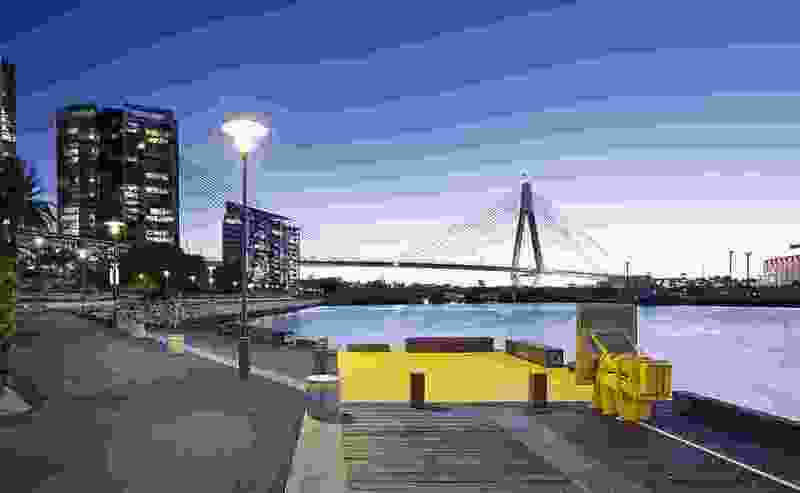 The new wharf strengthens the open space connections between the significant foreshore parks to the north and south, provides an opportunity to engage with the water, and a generous shared path along the waterfront. 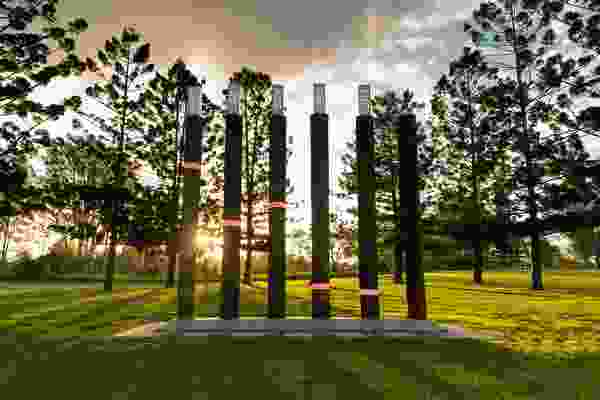 Engagement with water is a key design principle. 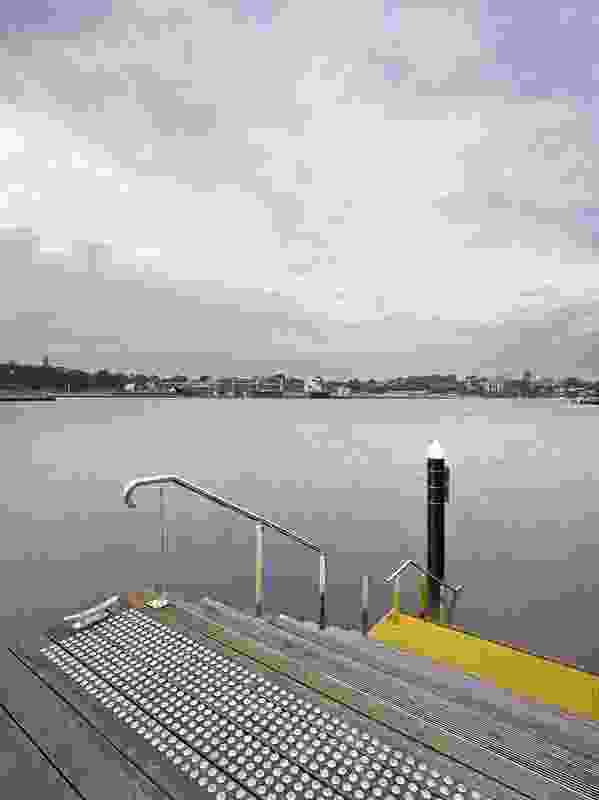 Open mesh provides a visual connection to the harbour beneath, whilst seating steps into the water generates a direct physical connection to the harbour. 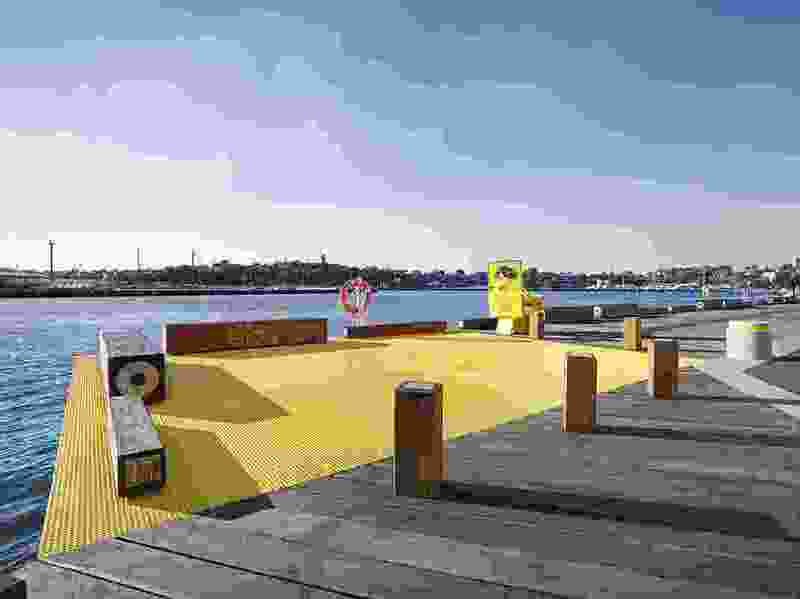 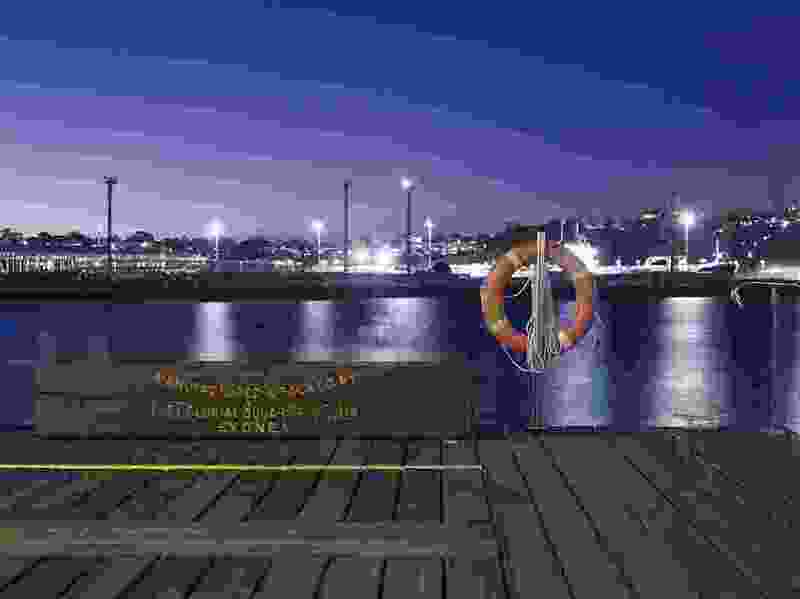 Together they create a richness of experience, allowing people to interact with the harbour in ways uncommon within the Sydney foreshore. 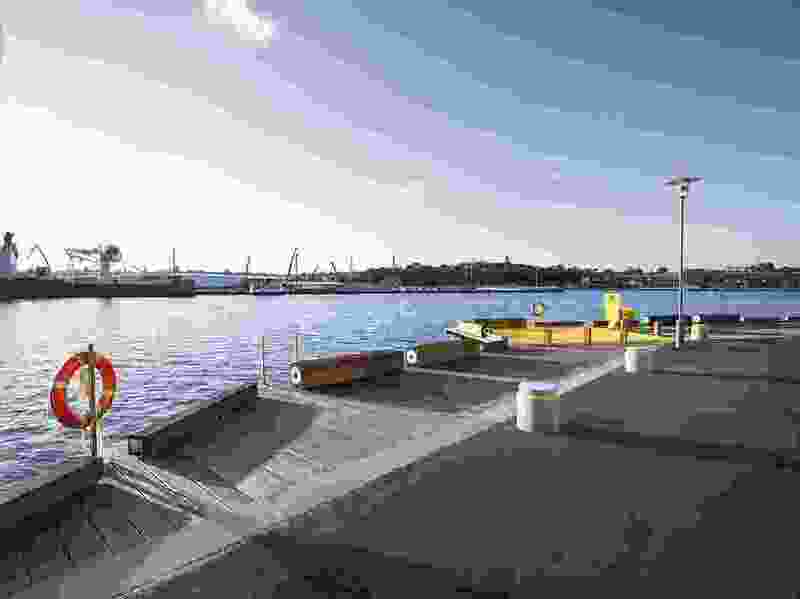 Site-specific interpretation reveals the sites prior use within a working harbour context. 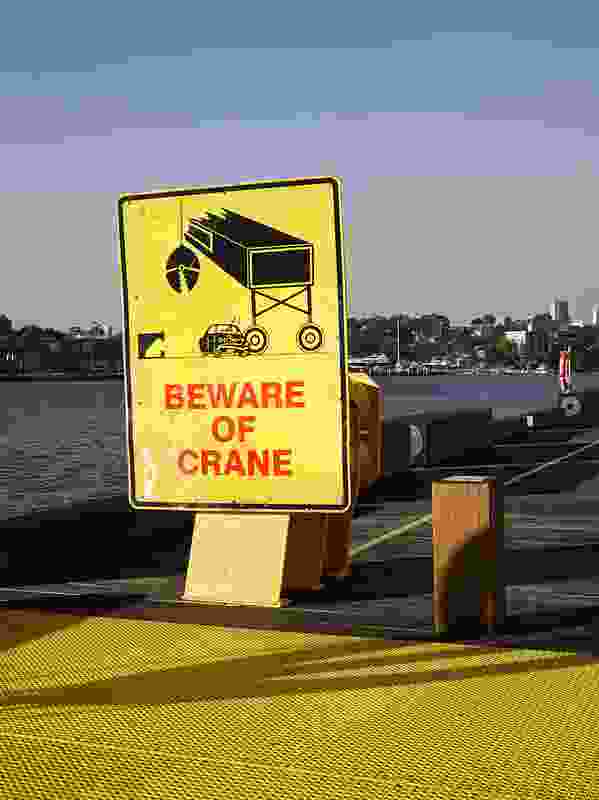 Routed text inlays, the reinstated yellow crane stop, signage and the crane rail are key reminders of this. 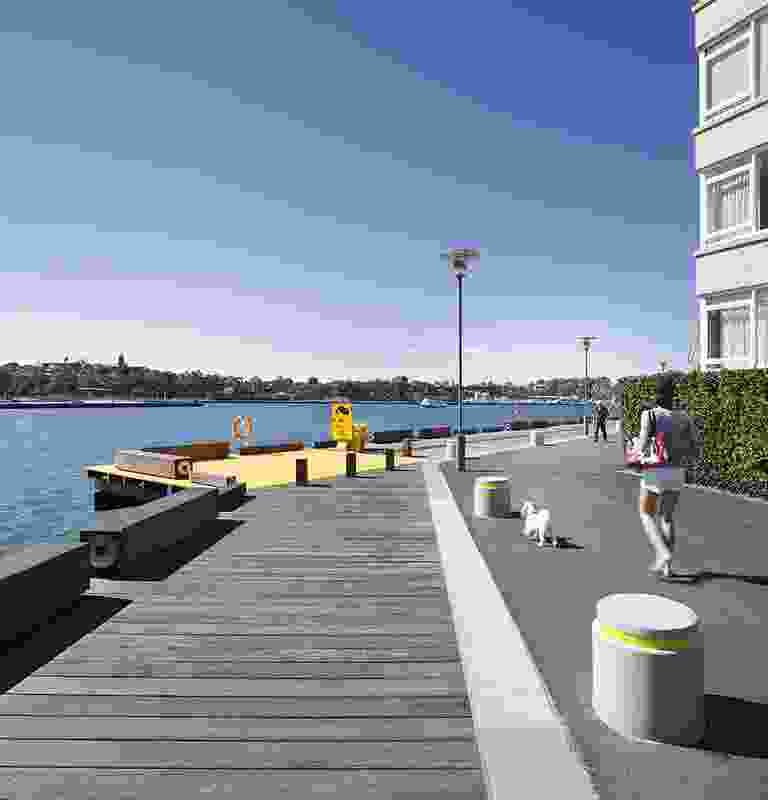 Cadi Park Wharf model, plan view.